My tears were welling up! 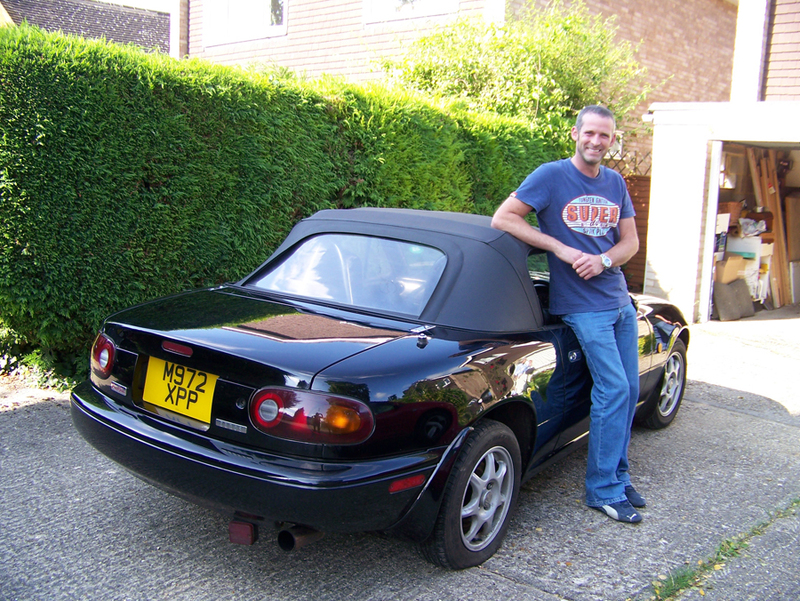 I really loved my 1995 Eunos Roadster in Brilliant Black. It put a smile on my face every time I set off around the country lanes. Sadly, I also had to thrash it halfway up the M4 twice a week, and one dark, fristy morning, I suddenly realised I was cold. That meant the car was hot, the coolant was all over the motorway. 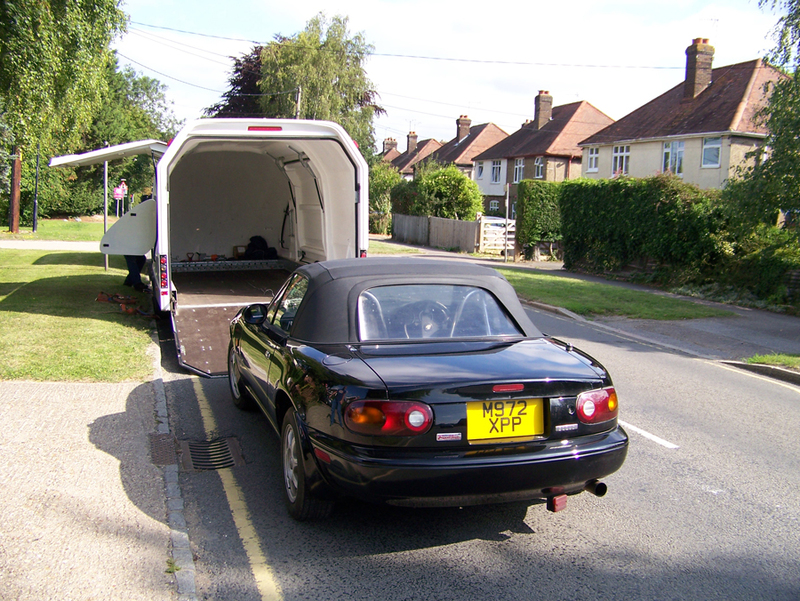 The car was towed to my parents' house in Buckinghamshire, but I knew the head would be warped and it would cost more than the car was worth to fix it. Meanwhile Project Merlot's car was suffering from rust. 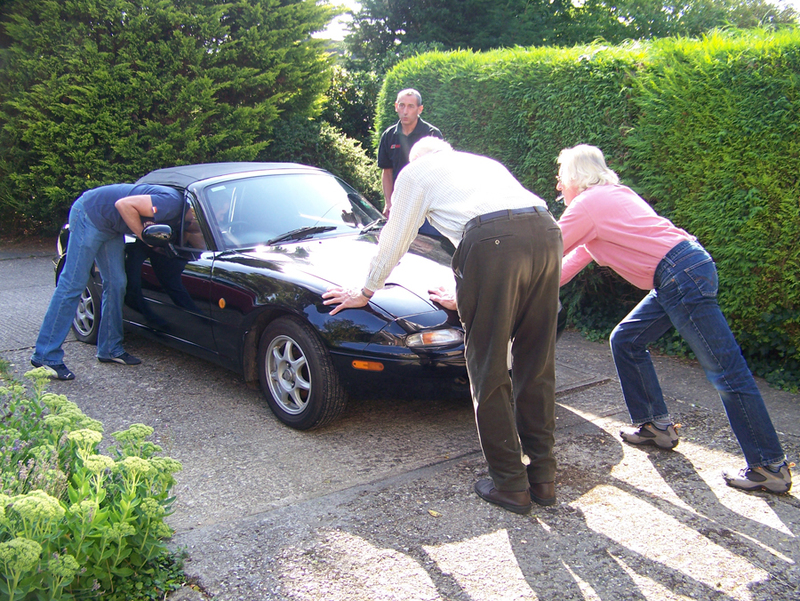 So they bought my car, put in their engine plus many other good bits, and carried on racing. Martin Curtis uses the Trigger's broom logic to say it's the same car. 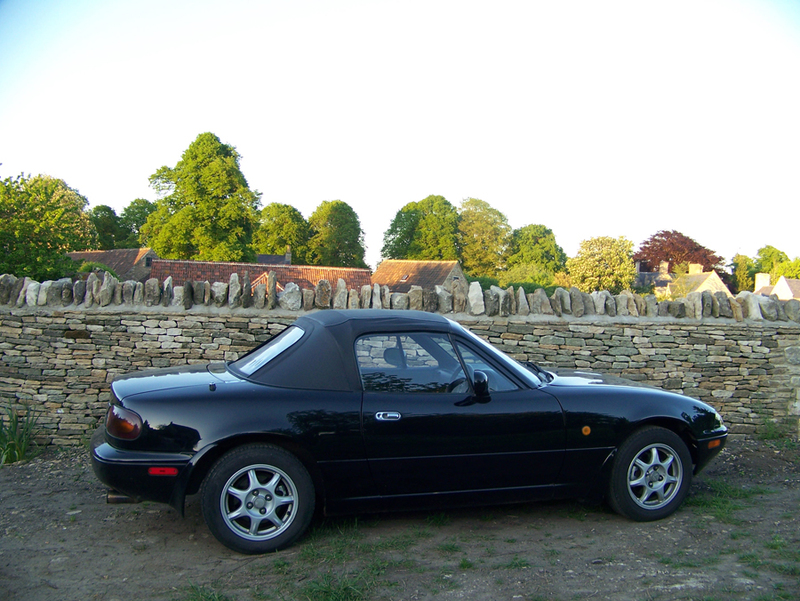 Project Merlot is a unique venture, these members of the Eastern Region of the Mazda MX-5 Owners' Club race cheaply, enjoy themselves and invite novices to have a go. 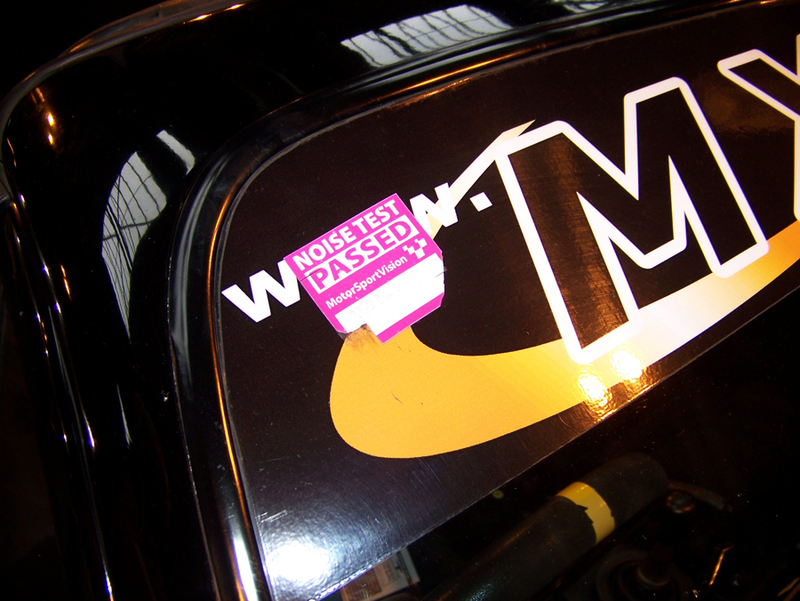 So far around 100 people have driven their car, mostly people with no previous experience of motor sport. 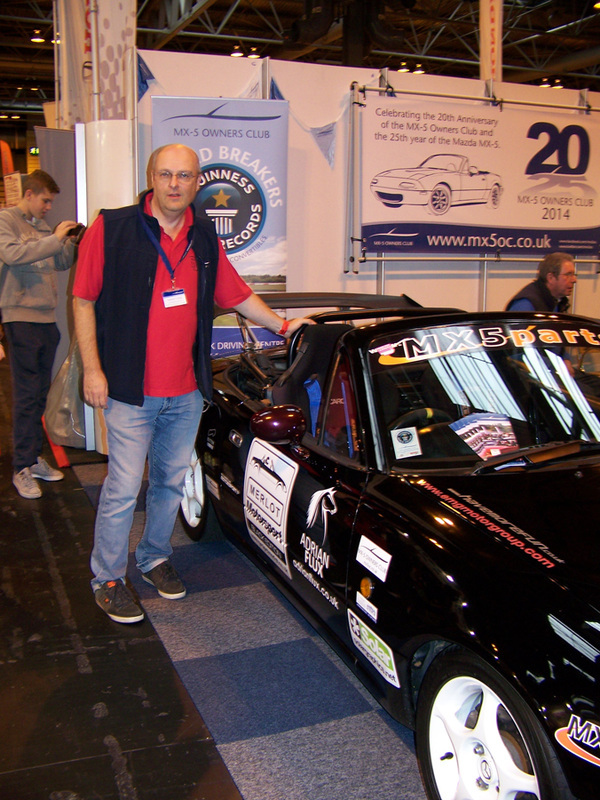 The theme of the Lancaster Insurance Classic Motor Show this year was classics reunited, so Martin invited me to drop by at the MX-5 Owners' Club stand to say hello to 'my' car. I thought I'd cry, but actually I was really pleased to see it looking so good. The paint is still shiny and it's only had one ding - expertly hammered out. 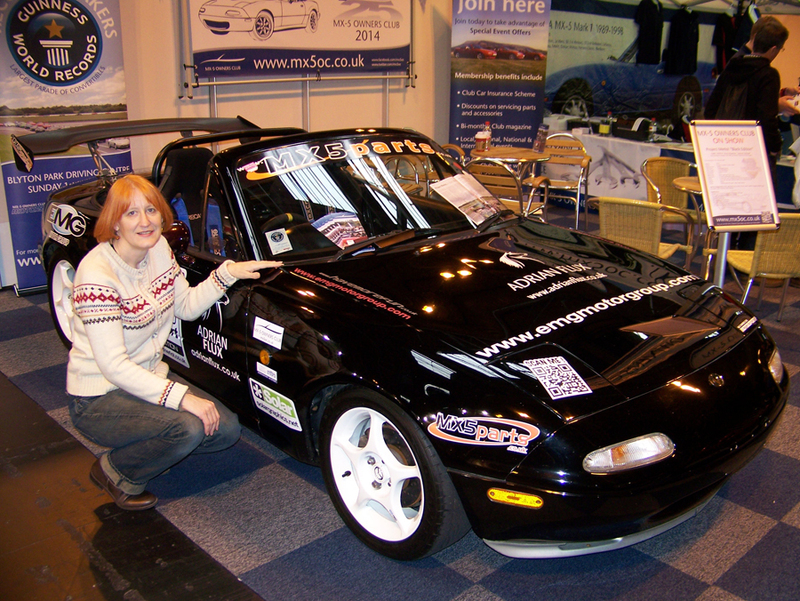 I'm really proud of the car for the way it keeps on going and giving so much pleasure to so many people. Sitting in it felt very strange. I recoginised the switchgear and gearknob, but I was perched on some very fancy racing seats, and almost every other comfort had been stripped out. I didn't recognise the Merlot-coloured wing mirrors or that massive wing either. So thank you Martin and the rest of the team. One day I really must get to a test track and have a real go in it.